Shri Kunjakant Temple is situated in Dhenkanal District of Odisha. Many of people may not know about this beautiful Temple of Dhenkanal. So here we have place this temple information on our online portal, so that many of people like you can get the information about this temple of Dhenkanal and also know about the history of this temple. The main deity of this Shri Kunjakant Temple is Lord Radha Krishna. You can see the Radha Krishna with their Astha Sakhi inside the temple. This temple was built by King Sura Pratap Singh in the year 1915. King Sura Pratap Singh and Queen KrishnaChandra Priya Devi was the devotee of Lord Radha Krishna. They were inspired by Baishnab Guru Babaji Ramdas. So they built this temple. You can also see Jhulan Mandap and Rasa Mandap etc inside the temple. All the festivals of Radha Krishna are celebrated in this Temple every year. location of the temple is not specified and how people can know about the temple when people of Odisha may not know about the temple. 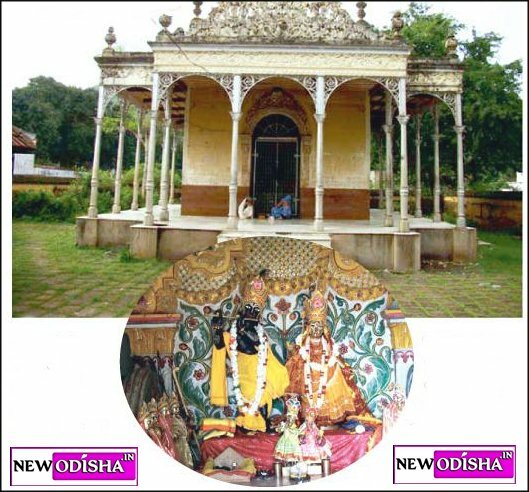 Give Responses for "Shri Kunjakant Temple of Dhenkanal"